Blogging Questions: What Will Happen To My Blog When I Die? What do YOU want to happen to your blog? After you die, what would you like to happen to your blog? Are you okay with it being closed down or would you like it to remain available for others to view long after you’re gone? If you would like your blog to remain available, how long would you like it to “live” for? 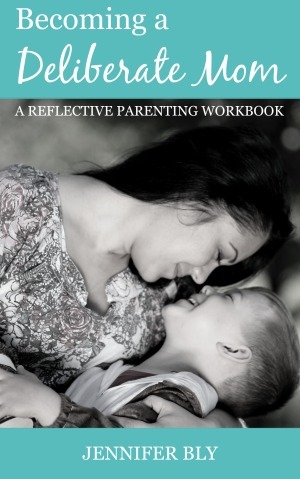 Perhaps you would like your blog to be made into a book for family members. If so, research where this can be done and provide the information with your last wishes. Who will take care of your blog? Whether your blog is being shut down or is going to continue, who is going to be the person responsible for it? Make sure to speak with your blog executor and clarify that they’re comfortable with the role(s) you’ll be assigning to them. How would you like to say “goodbye”? Have you drafted a final post yet? I’ve been working on mine for a while now. I’ve thought about it and I know I would like a final “goodbye” post to my family, friends, and readers. Once again… sorry if this seems morbid but it might be something to consider working on. If you’ve created a final goodbye post, make sure your blog executor knows the title of the post, what details to add (i.e. date of death, circumstances, etc. ), and how to publish the post. Whether you’re closing your blog down or someone will be maintaining it, you will need to have all your information in one place. Make a list of all your usernames and passwords for all of your sites. Make sure to include your web host provider, your affiliate accounts, PayPal, feed readers, etc. You will want to make sure everything is available for your executor to access. After you make this list. Store it in your safety deposit box and/or a safe. You may also want to consider putting hyperlinks of all the websites you use on a document and save it on a USB stick. This way your executor can quickly access all the sites you’ve been using rather than typing them one by one into a browser bar. Log into my WordPress account with the Username and Password provided. Write a brief introduction to the post indicating when I died and that I wrote this post prior to my death. If you’re keeping your blog open, decide what will happen with commenting. Do you want to close commenting on all your posts? Do you want to keep commenting open on your final post? You may want to give instructions on how to close comments on your posts. What about your social media sites? Would you want a link to your obituary on your social media sites? Who will close the social media down on your behalf? Would you want any to remain open (i.e. your Facebook page becomes a memorial page)? What accounts should be shut down? Are there any accounts that you would need to be shut down? For example, I have a monthly CoSchedule fee, I would want my subscription to be cancelled because there would obviously be no need for such services. Make sure you consider and list every account that would need to be terminated. How is your blog going to be paid for? If your blog is self-hosted, who will be responsible for the hosting fees? Do you have a reserve amount set aside in your will for blog expenses? Make sure to indicate how the reserve is to be accessed to cover blog maintenance costs. Who will receive the income from your blog? If your blog has ads or sponsors, have you considered how those fees will be transferred? Can they be transferred? Will the executor need to place ads in their name on your site and remove the ads that are under your name? Who is going to maintain your blog? Make sure you’ve arranged for who will maintain your blog (i.e. update plugins, delete spam, etc.). This role can be fulfilled by the blog executor or perhaps assigned to a different person. Make sure they are aware of their role and that they are comfortable with it. I completely understand if you want to hide under the covers of your bed and ignore this topic. However, if you have some last wishes for your blog, perhaps now is the time to make a plan so that when the inevitable happens, your family knows what to do. Have you considered what you would like to happen to your blog when you die? You know, as strange as it sounds…I have actually thought about this. I have three blogs and no one close to me knows how to blog, so I guess that my blogs would die along with me. All quips aside, this is a great post. You’ve done an excellent job of covering a topic that few want to think about or plan for. Thanks Nicole. I almost didn’t publish it because I was thinking maybe it was too morbid but I have been thinking about this for a few years and just recently started making end of life plans. As I was working on my own plans, I thought, I really should share this. I’m glad I did. I don’t think that many people think about it. I’m beginning to wonder how many people have thought about this. 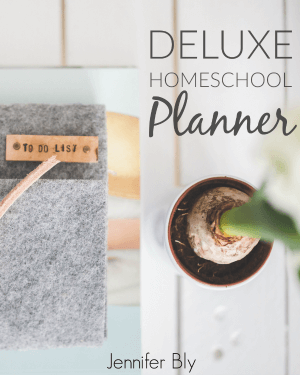 Even if we don’t have specific plans for our blogs, it would be good if our families knew what to do and how to handle things when that day comes. I usually am a bit of a planner, but haven’t actually given any thought to this. Definitely some food for thought and will have to think about this now. Trust me to drudge up some uncomfortable thoughts LOL. Really though, even if we have no specific after-death requests for our blogs, at least if our families knew what to do to close accounts, etc…. I’ve been thinking about this for a long time and just recently started working on my plans. Wow. Ths is something I have never even considered but now reading through I see it may need to be. Thanks for such clear and detailed guides. Definitely something to consider – regardless of your plans for your blog. Even if you want your blog shut down… wouldn’t it be best to make things as easy as possible for our loved ones? I’ve never thought of this, but it would be important to me to keep it up and running for awhile and I like the book idea for the future. Writing the goodbye post almost makes me cry just thinking about it. I’m sure it would be nice to says goodbye to my readers though. Going to have to think about it. I’m beginning to wonder how many bloggers have considered this topic. I’ve thought about it for a while but just recently started doing the planning. It’s a big task but I think it’s important… especially given that our loved ones are left to deal with everything after we are gone. Thanks for sharing your thoughts on this Marie. You know, I have read about this before, but haven’t ever acted on it. These are some important things to think to think about, though. I have it in my head – I need to write it down for those who would be left behind. I wish I remember where I first encountered this thought… it was somewhere on the interwebs. I tried to research the post I that started these thoughts as I would have loved to reference it. I think it was about two years ago! Anyway, I’ve contemplated it for a while and I just started writing out my plan. 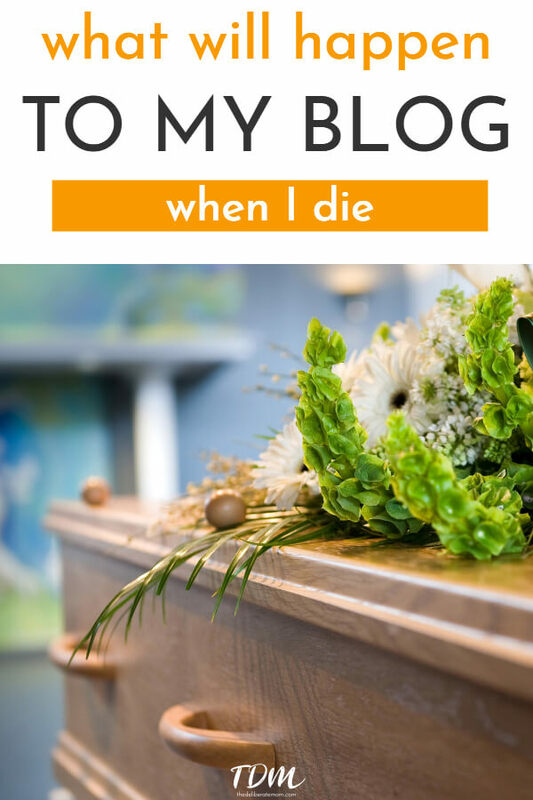 As I was doing so, I thought I really should write a post about all the different aspects to think about when planning what you want to happen to your blog after you die. I’m certain as I continue to work on my plan even more thoughts will come up. It’s a big task but I think it’s important to think of those who will be left behind to deal with it. Wow! I’m just staring at the screen. Wow! Never really considered this. Not something that I want to think about but definitely need to put a plan in place. Great post! I’m glad this gave you something to contemplate. I think it’s important to think about what we would like to happen to our blogs after we die (and also to make the plans easy for our loved ones to carry out). That is weird and kind of funny. It’s interesting what kids think about hey?! Definitely worth writing out your instructions for your husband. Jen, this is exactly the reason why I don’t want to switch my blog from blogger to wordpress. On blogspot, there are no fees are anything to do after I am gone. My blog is something I want my daughters to have when I am gone, to refer to on how I did this or that or just to ‘hear’ my voice when I am gone. With blogger my blog will be online forever (hopefully with nothing at all to do for anyone else). I love your idea of a blog executor and drafting a final post. I am pretty sure that will be a tearfest for me to try to write, but you are right its important. As I started do my planning for my death I began to think that maybe it wasn’t such a good idea for me to switch. I love WordPress but now I have to save for a blog trust to keep things running after I’m gone. It is good for your family to have all your passwords as well as know your wishes for a final post. Thanks for sharing your thoughts on this Keitha. I’ve actually thought about and I have already set up the instructions for my Gmail accounts what should happen in case of inactivity (ie. me dying). I am in the process of doing the same for my blog. Keitha mentioned that she doesn’t want to switch to self-hosted because everything is free and it would be online forever… I know I am a party-pooper here but there is no guarantee that her blog would stay up after she is gone. With free solutions, your blog could be gone tomorrow. That’s why I always advocate self-hosted blogs. I’ve heard plenty of stories from bloggers who were using Blogger/WordPress and their blogs getting shut down. Sometimes it was their own fault for abusing TOS but sometimes it wasn’t. If you were on a free service and wanted to keep it around as a memorial for your kids, I’d recommend turning it into a book, like you suggested. Thank you for sharing Ana Lynn! Yes, that’s why I switched to self-hosted because I was afraid my blog could get shut down without any warning. As I was doing this planning I began to wonder if it was indeed such a wise choice… but you’re right… with a trust in place my blog can be maintained and there isn’t that threat of losing the free service. I may request a book be made of it too, I’m still thinking about that one. Good to think about!! I want my blog to be a special place for my son to read later. We all put our hearts into our blog’s, that’s for sure. I want my girls to have the opportunity to look at my blog too. It’s a bit of an archive for them. I have never given this a thought, but your post on the SITS Saturday Sharefest caught my eye. (I follow your blog, but saw it first there). WOW. What I like about this plan, is it would provide less decisions for survivors to make in a time of grief. Excellent post. Thank you Susan. I’m glad you enjoyed this. I think it’s really important and not something very many people think about. Death and grief is challenging enough… I want the settling of my blog to be as easy as possible for my family. Wow, I have to admit, this is not something I’ve given any thought to yet. But, everything you say here makes sense. There really is a lot to consider when your online life is so big. It’s not necessarily a pleasant topic, but an important one. Thanks for sharing! I’m glad this gave you something to think about. I think it’s really important to consider how we want our blogs to be managed after we die. Well Jennifer, I feel like this post just seals the deal- we are bffs waiting to happen! Seriously, I’m surprised by the comments that this isn’t something others give thought to- whereas you and I both have passwords, instructions, and final posts..lol my husband did not like this conversation about being my blog executor at all. But hey- you gotta respect a girl’s wishes! Imagine all of the wild ideas you and I would encourage between the two of us!!!! Lol love this post!!!!!!!!!!! That’s hilarious! Yes my husband didn’t like the conversation either. I’m not trying to be a downer… I’m just trying to make things clear. I’m still working on my instructions – there’s a lot to compile. I reviewed my final post today and bawled like a baby. I’ll probably add and tweak a little bit here and there but it’s finally done. It’s really good, especially the beginning and end. I wish I could publish it… but not that much LOL. Great post Jennifer and not too morbid. Just sad to think about leaving my family for a time. I have thought about this though and Jensguy and I have talked very briefly about it. He would announce on all social media accounts my passing and close them down. As far as the blog he would keep it up and sitting as long as he and the children desired. I keep written/typed copies saved in a folder of all of my posts about our family and life that the kids could have for the future. Well, I’m relieved to know that others have contemplated these things as well. I definitely want the social media dissolved but I would like my blog to be maintained as long as my husband and kids want it. Wow. This is actually something that has crossed my mind, but tried to not think about. But just like you plan other things in your life after death (bank accounts, finances, kid stuff) this is just as important. Your blog in some cases can be viewed as a business and you have to think what would you want done with your business after your death. Hmmmm…thank you for sharing your thoughts on this. I’m glad this got you thinking about this more. I think it’s a really important topic to address. Than ks for sharing your thoughts on this. Yes, the blog would be the least of your worries *wink* but you wouldn’t want it to be a worry for your loved ones. Wow this post really made me think! I wanted my blog to stay open for my daughter and future children but I didn’t think about all of this. I’m the same way… I would want my girls to be able to look at my blog whenever they would like. These things are hard to think about but are important all the same. Powerful post! I never really thought about it, until one of the bloggers I read often did pass away. I was left feeling so empty and sad. And I wondered about her blog, because I wasn’t sure she even had surviving family members. I haven’t even given my husband my password and I really should. I have thousands of unedited photos and I have a bunch of blog drafts too. I’m glad this did make you think about your blog’s future. It’s always a good idea to find out what our loved ones think about these things too. So I’m guessing you’ve thought of this too Shelly? Yes… I am the deliberate mom – I think about things far too much. I’m glad this made you contemplate your blog’s future as well. Thanks so much for stopping by! Hi Jennifer! I actually think that my eyes and hands will ‘go’ before I do. But…if I were to die suddenly or something, you are very right to ask these questions. I wish there was one button that looked like a detonator, and all you would have to do is instruct someone how to ‘click’. All gone! I hope your children will truly enjoy your writing, photos and the footsteps of their growth and personalities. They are lucky little ones, aren’t they? I certainly hope that my hands and eyes go before my blog… but we never can tell. I really do want my blog to be an archive for my children. I pray that I have blessed (and will continue to) bless them. You had me at the title, Jennifer! I don’t think this is a morbid topic. I think it’s an important one, and certainly one that I hadn’t thought of before. Fortunately, I am married to my blog guy who handles a lot of this stuff for me, but you have given me much to ponder. We put so much heart, soul, time, and energy into our blogs, I suppose we should plan for its end like anything else in life. How funny that I was just working on a post called Heaven, Hell, and Life After Death! Thanks for the thought-provoking post! Oooh, you’re so fortunate you have a blog guy. My husband will need detailed instructions. So glad this post sparked some thoughts for you Heather. I have actually thought about this, very lightly and not really too deeply, but this is such great information to think about. Like passwords and whether to have someone renew it or not. I would definitely want mine made into a book so my children could always have it, so I should definitely look that stuff up and have it stored somewhere. I know it’s morbid and an uncomfortable topic for some, but thank you for posting about it! I’m glad this sparked some thoughts for you. I think the majority of us don’t like to think about our own mortality but it’s important to address some of these questions when we can. Oh my! I have never thought about this!!! There is a lot of things I haven’t through through when it comes to death – I guess this is a reminder that it’s time i should? I’m glad this sparked some thoughts for you Caroline. I think it’s important to give this some thought and to ask ourselves these tough questions. Even things like passwords, contact information for webhosting, fee payments, etc. would be useful to your loved ones. It’s a lot to consider, I know. I’m glad this list will be of some help. I’ve actually thought about this some. It seems like a small thing in the scope of life during a time like that, but really, it would have to be buttoned up or managed somehow. No one in my family knows how to get into any of my accounts. It would just sit there waiting for my yearly subscription fees to expire. You’ve laid out some great details on how to prepare for this, and I’m going to start working on them. Thanks for putting together a guide that took some time and consideration to create. I’ve also wondered about a blogging pal who seems to have “disappeared” suddenly almost 3 months ago. The blog just suddenly stopped updating, no social media activity, no returned e-mail. I hope she’s alright, but the suddenness of it is scary. I’ve wondered about a couple blogging friends who disappeared too. I would never want to “disappear” like that (hence why I’ve written a final post). I’m still writing out my blog’s final plans though. What a task! I’m glad this post will be of some help to you. I thought about this last week Jennifer but did not say a word to my husband or anyone. I chalked it up to being too morbid. But why shouldn’t I have a plan for my blog? People by life insurance, make wills and prepare for other life events. It just so happens that the day I decided to start my blog is one of my life events. I have saved this to my desktop as well as pinned this article. Thank you so much for this. You are so very welcome Alecia! I almost didn’t publish this because I was thinking people might think I’m too morbid but I truly believe it’s an important topic, and a topic that many of us neglect to pay attention to. I hope this helps you. Thanks for sharing it. I had never really thought about that. I have some who would be able to take over but I don’t think my blog would remain the same, more like my memory. As long as your loved ones know what you want (and how to access things) that’s what is most important. I’ve never thought about this before. But I would want my husband to turn it into a book for my kids to have one day. I write about them all the time and I would want them to read my stories and thoughts one day. Something to add to the list of things to tell my husband if I die. I’m glad this has given you something to think about Allison. It never hurts to be prepared. Please excuse me my mind is going a 100 miles per hour now, I have a lot to think about…. It is a lot to think about – but very important to consider. I think the majority of us wouldn’t want our blogs to burden anyone… but likewise, I know I have family who would want to keep my blog open and would be so upset if it disappeared due to lack of access, planning, etc. I have given some thought to this however I have started a new meme called Memory Monday and hope that you might be interested in joining me. It’s a tough topic to think about but important to consider and plan for. mmh, this is a deep question. i’ve not really given it such detailed thoughts before. but i know i wouldn’t want my blog to be shut down. i’d want it to continue witnessing to people about Christ. It’s a challenging one to consider isn’t it? If you have specific wishes, it would be important to let someone know. HAHAHA! I love this article. Read it out loud to my wife and we had a good chuckle–what a perspective. Nope, haven’t thought about this, BUT my blog and all that is attached to it is a business and there are more people involved than myself–though I’m the only writer at present. The business pays for the hosting, the books will continue to sell, so funds pay for the overhead–the struggle would be continuing the articles. Well, unless I can convince my daughters to take over. Ok, well bugger THAT idea….I’ll probably have to go through our marketing guys and pay for articles. Yet, I hate that idea…..this blog is from the heart! Hmmmm,….gonna have to get back with you on the maintaining the blog idea. Maybe take my wife out to her favorite restaurant. I’m glad this post gave you a laugh… ummmmm, I think. Since your blog is attached to a business, there’s probably not a lot you need to think about, as you said a lot of these aspects are already covered. However, I think a lot of recreational, lifestyle, or small bloggers haven’t thought about this. We all have to plan for the inevitable… so yes, it sounds like all you have to do is take your wife out to dinner. Thanks for stopping by Jaime. The blog can’t live on. It’s about me. Hadn’t really thought about that. It’s run by me and the characters of my books and no one CAN take over with that. She suggested that the collections also be made into books–which I have seen many blogs do and LOVE. So if any of you have been blogging for a while, I suggest taking your collections BEFORE kicking the bucket and having one (or more) books published on your content. Great article Jennifer. It really has me thinking. I’m glad this got you thinking Jaime. I know my blog can’t live on. There will be no new content (other than my final goodbye post) added after I die. However, I would like my blog to remain up. I have content that I think could help others… if I can help people even while I am in the grave, then how great would that be?! I also have a lot of content about my girls and my journey with them. I want them to be able to view those things but I’m thinking I might make yearly blog journals/books for them. Thanks for coming back to update us with your thoughts on this. You know Jennifer, I’m still thinking about this. It’s interesting to think about…OOOH–I also had a cool idea…. You talk about having a blog to help others and for your girls–well you could (well, me too) create a growing database of great tweets/quotes based on your blog content and have that all arranged in an automated system. Then as the years wear on, you could grow more followers and more influence–all from the grave. Coooooool. I would even do a series of podcasts that could be rotated–maybe based on months of the year to inspire. I mean, we could “positively” haunt folks forever! Just think it’s a neat concept to think about, that’s all. =) You have a fantastic blog, and my wife and I share SO many of your same values…which makes reading your work a joy. BTW—there’s a fun challenge coming up on my blog (be ready on Oct. 15th) with your name on it (and other bloggers). Hope you’ll accept. I’m impressed that you’re still thinking about this… awesome! You have an interesting idea about creating content that’s released later on. Although, I’m not that type of writer. I get the itchy finger to publish when I’ve written something I’m excited about. I’ve had times when I’ve written at least a dozen posts and thought I would hold onto them and spread them out over a month. Do I? Nope! I end up publishing them all in two weeks! Haunting beyond the grave sounds tempting though *maniacal laugh*. I’m so glad you’re enjoying my blog. You have me intrigued about this challenge. Hmmmm, I wonder what it could be. I guess it all depends on how you feel about your blogging journey too. I look at my blog somewhat as an archive of life with my girls. I would want them to be able to access it after I die. 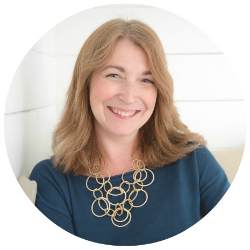 Congratulations on your new blogging journey! Food for thought for sure. I really haven’t given any thought to this. But after reading this, I think I need to add it to my to-do list. Pinned. I’m glad this gave you something to think about. Thanks for pinning! Oh goodness. I really hadn’t even thought about this until you mentioned it. A few weeks back, I read the last post from a blogger (HuffPost) and I thought, “Wow, what a great goodbye letter.” But I never would have acted on it. This is so detailed – I’m going to be putting this with my “Sundown” book – it’s the book that has all of the requested arrangements, legal info, and all of the other ‘morbid’ stuff. I’m really glad you decided to publish this, Jennifer. I’m glad you found this helpful Sarah. I was really hesitant to publish it for fear that it might be thought of as too morbid. I think it’s an important topic though… and not one we’ve given much thought to. I mean, this topic is morbid, uncomfortable, and sad, but completely and totally necessary. Just the mere thought of penning a final post gives me “that feeling” at the pit of my stomach…mostly because I know it is the right and responsible thing to do. I’m glad you enjoyed this Courtney. I bawled as I wrote my final post. I’ll review it every year but it was tough to write. I also felt odd writing it… as if by writing it I may bring death to my doorstep faster simply by penning my thoughts. So weird. I’m new to blogging and definitely had not thought of any of that. I like the idea of a book. Will have to look into that. Not morbid at all valid points as stuff on the internet one needs to know what happens with it even if you were to just stop blogging. I’m glad you enjoyed this Bonnie. I like the idea of a book too… I might have that as a back-up. Maybe a book for every year? As uncomfortable as this topic is for some of us, it’s a good thing to think about. you are so detailed,I love it. I better get to writing out instructions for what I want to happen to my blog. I went back this weekend and polished up my final post but I’m still making my blog plans. It’s a big task, but important all the same. I hadn’t thought of this. I have no idea what would happen to it. I need to sit down and write a plan. Thanks! So glad to have sparked some inspiration here. It’s really important to have a plan… I’m glad you’re going to work on one. Jennifer! This just reminds me that I need to get a move on our will! I have written two posts on the topic, but still haven’t written it yet. As I’ve done some research about writing a will, I’ve learned that you can actually add a social media section to dictate how you want facebook, your blog, twitter, etc. to continue or close down after you die. I love that you are working on a final post! My final post is complete. I bawled like a baby while writing it. So much to say…. I’m certain I’ll tweak it now and then. Now I have to finish writing out all my instructions. Oh my! The more I read your blog, the more I love it. This is very important to consider even though I hope we are all here, blogging until we can hardly see or reach the keyboard. You really wrote it in such a way that it was engaging and helpful. I’m so glad this was helpful for you. It’s an important topic. Even though we don’t like to think about it… we really should. I’m glad you enjoyed this and that it gave you something to consider. I’ve thought about this just a little. Only once have I found out that a lady who wrote a blog I occasionally visited passed away. I guess I just assume that I’ll stop blogging long before I die, but the husband does have my log-in info just in case. Thank you for sharing your experience and thoughts on this Rachel. I’m so glad you enjoyed this Julie and I hope you find this useful as you consider your own end-of-blog/life plans. I have never given it any thought, however, I have placed my revenue accounts on a spreadsheet with ID and passwords. It must have been quite a humbling experience. I will give it some thought. You are very brave and I give you a lot of courage for starting your “Goodbye” post. Love and Blessings! My goodbye post was an emotional one to write. I know I’ll have to reread and alter it on occasion… which may be challenging as well. However, this sort of planning is important to me. Blessings to you as well my friend. Jennifer, I am so glad you wrote this post. I provide journal trainings and always discuss what one is going to do with their private journals when they die. I truly don’t know why I never moved my thought process to blogs. This isn’t a morbid post but one we all need to be aware of. Thanks again! I’m certainly going to be adding this to my trainings. Thank you for sharing your thoughts on this Sheryl. We often try to avoid thinking about our own mortality, so I’m not surprised many haven’t thought about mortality in relation to our blogs. Thanks for your insightful comment and for stopping by. This topic has definitely swirled around in my head from time to time. I’ve started the process of having my blog made into books for my children but hadn’t decided if I wanted my blog to continue online. Thanks for sharing. I’m glad to hear you’ve thought about this and that you’re already taking action. I would like to make books too. Is there a particular place you recommend? Oooh, thanks for getting back to me on that Andrea! I appreciate it! Jennifer – what an interesting post. And not morbid at all in my mind. I troll for new blogs regularly and every once in a while I find a blog that just stopped. No explanation as to what happened to the blog, the author, or why it came to an end abruptly. There are a few that explain why they’ve stopped: a change in interests, new life challenges, etc., and I love that the blog is still available but at least I know why the blog had to end. I’m glad you enjoyed this Marnie and that it’s given you some things to think of and consider. Thanks for sharing your perspective and insights on this as well. Oh my goodness, and here I thought I was such an organized person!? You have given me so much to think about…and, obviously, plan! Thank you for sharing this very interesting post, and for providing such a detailed way of going about it!! It definitely is a lot to think about but SO important! It’s a bit of work but I’m certain you’ll feel better after you get it done. I’m so glad you enjoyed this post Morgan. It is important to think about our end of life blog plans. Your husband’s going to “love” this. My hubby cringed when I shared all my plans with him… but now he’s working on his own. Wow! What a powerful post! I haven’t even thought of this! I’m one of the lucky one’s who’s husband is very supportive of my blog! I know in a heartbeat he would step-up and be the executor; however, he doesn’t know my passwords etc. Thank you for such a wonderful post! I would love for you to share at the Happiness Is Homemade Link Party! Have a terrific week! I’m delighted that this was thought-provoking and helpful for you Cathy. Mortality is something we don’t like to think about, however, sometimes it’s necessary to think about in order to save our loved from encountering unnecessary stress. 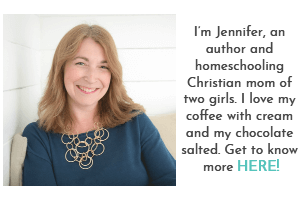 Hi Jennifer, not once have I considered what I would like done with my blog if something were to happen to me! I suppose I don’t consider my blog established enough to keep going after I’ve gone, but I would like to think that it would be something that my children could browse through with their children one day. After all it is a part of me and what goes on in my head. Sadly I don’t know anyone who would be interested in managing my blog after I’ve gone. My daughter will sometimes dip into it, but other than that my friends and family aren’t really interested in it. Well, that’s given me plenty of food for thought!..Thank you! I think the most critical part of this planning for your blog after you die is making sure someone knows what to do with it and how to deal with things. Perhaps your husband wouldn’t like to see it disappear from the internet? Does he know who to pay for webhosting costs? Does he know your password to your webhosting company? No one will be continuing my blog (adding new writing to it) but it will remain live for as long as my family desires. I want them to be able to administer it as easily as possible. It’s a lot to consider but very important all the same. Since reading your post, I have been thinking about what should happen to my blog should I die. It is something I will be bringing up with the family too. Hubby Dearest has finished working the long hours he does in the summer, so it is a subject that I can bring up one day when we are sat all together….Although I am sure that they will look at me as if I am bonkers….But you just never know what’s around the corner in life. Luckily I am organized when it comes to my passwords and details. It’s the social media side that will leave the family flummoxed! I’m glad to hear you’re still giving this some consideration Debbie. It’s great you’ve settled your passwords and details… that can really complicate dealing with things if your family doesn’t have them. It’s very true, my blog is an ongoing diary, scrapbook, love letter for my children… I wouldn’t want it to just vanish at all; though I wouldn’t mind it being there just for them either… Right now, it’s not a matter of income so there’s nothing anyone would gain from that. …Not that I’m convinced I’d want to do that! But there’s the possibility! That’s all well and good if you have someone. Who has a “blog executor”? How about what happens to your blog for the millions of independent people writing blogs. Those like me, that have never heard of such a thing as a “blog executor” before. Nor needed one even after hearing the term. A final post for those like myself would have to be post dated. And auto posted once the date came to be. Otherwise… It wouldn’t post. How long will my blog exist after I’m dead and burried on say Blogger or WordPress? Will that be my only footprint left to say I existed? Or will it too be deleted washing away any lasting proof I was here?